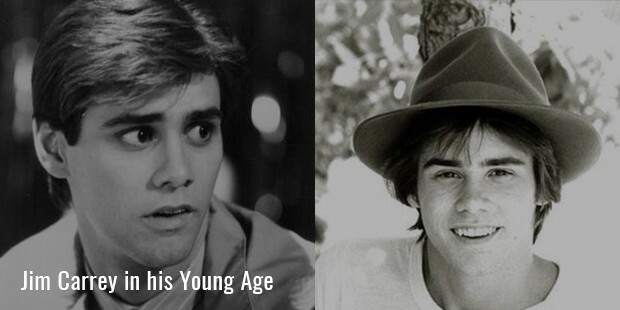 Jim Carrey was born on January 17, 1962 at Ontario, Canada. He went to Northview Heights Secondary School but had to drop out at the age of 15 for supporting his family which was suffering with poverty. He started off as a stand up comedian. 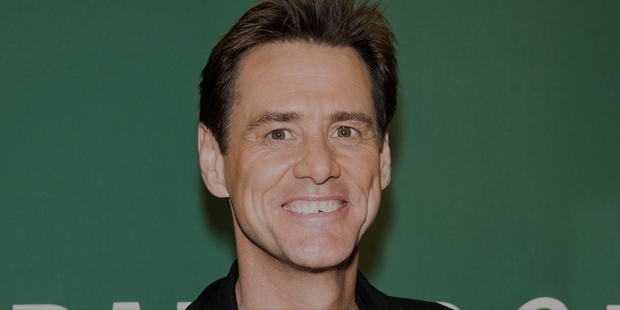 Initially his performances were not noticed but Carrey’s struggle for success led to his improving day by day. Soon he was able to perform in clubs and stage shows with regularity. Carrey’s talent was spotted by comedian Rodney Dangerfield who brought him to Las Vegas in 1980. Carrey ventured into the film industry with his debut in the film ‘Rubberface’ (1981). With this film he got the lead role in the NBC sitcom ‘Duck Factory’. This show was not able to make it to the second season but helped Carrey establish himself as fine comic actor on the big stage. He soon got to act in films like ‘Once Bitten’ (1985), ‘Peggy Sue Got Married’ (1986), ‘The Dead Pool’ (1988), ‘Doing Time on Maple Drive’ (1992) in supporting roles. He next bagged a role in the T.V. show ‘In Living Color’ in which his character was well appreciated. The year 1994 was the turning point in Jim Carrey’s struggling career. 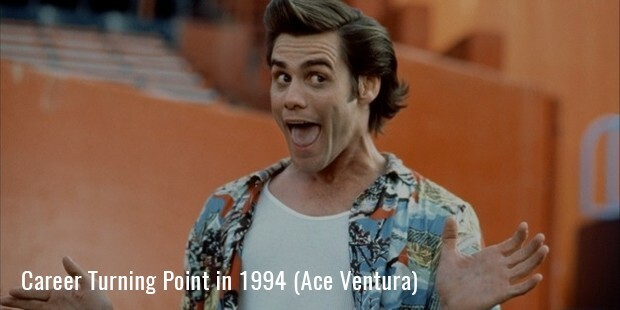 He bagged the lead role in the film ‘Ace Ventura: Pet Detective’ which he re-scripted to suit his style of acting. This film went on to be a big hit and grossed more than $100 million at the box office. This surprised the film industry and but they predicted that he would not survive for long in Hollywood. 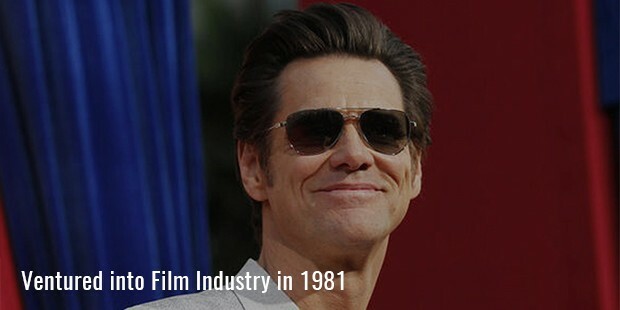 But Carrey proved all his critics by doing two blockbuster films that year. ‘The Mask’ and ‘Dumb and Dumber’ went on to gross $350 million and $250 million respectively. Now Carrey’s personality and comedy had become a rage in Hollywood with his fan following increasing day by day. His next role was in the 1995 film ‘Batman Forever’ which went on to gross more than $330 million. His next films were ‘Ace Ventura: When Nature Calls’ which grossed $200 million and ‘The Cable Guy’ which grossed $100 million. Now Jim Carrey had become a dependable superstar who was able to deliver one after another blockbuster films. In the year 1997, he starred in the film ‘Liar Liar’ which went on to gross over $300 million. He also starred in critically acclaimed films but concentrated mostly on displaying his funny side in the movies. His next release was ‘How the Grinch Stole Christmas’ in the year 2000 which went on to gross in excess of $350 million. His next film ‘Bruce Almighty’ (2003) went on to become a cult classic and gross in excess of $470 million. In 2004 he was part of the highly praised film ‘Eternal Sunshine of the Spotless Mind’. In 2008, his films ‘Yes man’ and ‘Horton Hears a Who!’ grossed a combined $520 million. As of 2013, his films have grossed more than $4.2 billion at the world box office.